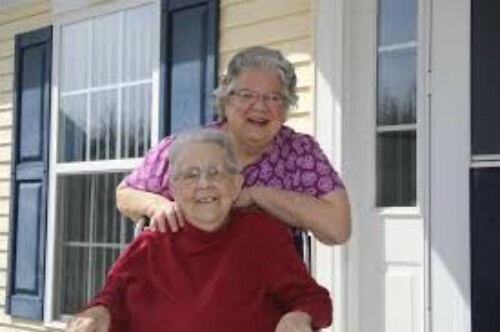 We are grateful to our supporters, Marjorie Donhauser and Natalie Ross! With their generous support, they made our vision of a Wildlife Education Center become a reality! It all started with a Kangaroo! 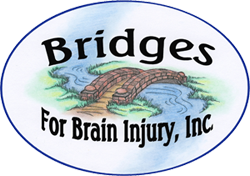 Bridges For Brain Injury and our Director of Wildlife Programs, John Truini, met Natalie and Marge in 2014. 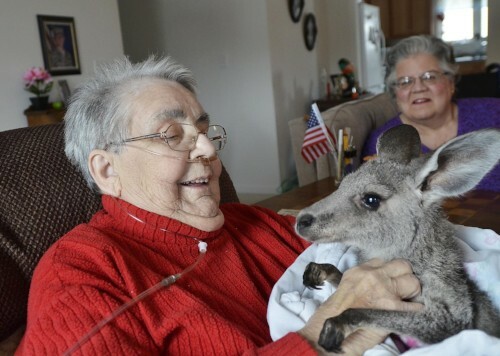 Natalie was in hospice and didn’t have long to live and one of her last wishes was to see a kangaroo up close. At that time Bridges was unable to provide sanctuary to any wildlife of size like Penny. When Marge and Natalie learned of Penny needing a permanent home, they went into action and helped pave the way financially to not only provide a home to Penny, but to other native and exotic wildlife who have become educational animals. The Center, based at our corporate facility in Farmington, New York, offers a more park-like setting and public viewing of our animal ambassadors. Marge and Natalie wanted a place where school children can go to learn about wildlife, their habitats and wildlife conservation in a "real-world" environment. Natalie passed away in 2018 but not before she could see her dream of the Donhauser/Ross Wildlife Education Center become a reality. The Center enables schools and community groups to visit on-site during the warmer months and provides employment-based skills to our program members, while also providing a safe environment for the many animals we rescue. The Donhauser/Ross Wildlife Education Center is NOT open to the public and offers private and special invitation only up-close wildlife encounters. You can help keep Marge and Natalie's dream alive by supporting Bridges For Brain Injury, our Wildlife Rockstars and our Animal Ambassadors! Click here to visit our Donation page to learn of ways you can help!